Dutch Warmblood (KWPN-NA) horses are competing at some of the highest level equestrian competitions in the world. Dutch Warmbloods are extremely versatile in their athletic abilities and have been bred for charisma and willingness to perform. Equitrekking interviews Willy Arts and Silvia Monas and from KWPN North America about the Dutch Warmblood. Find out if the Dutch Warmblood is the right breed for you. Raina Paucar for Equitrekking: What are some fun facts about the Dutch Warmblood? Silvia Monas: A Dutch Warmblood stallion by the name Uraeus (Polaris x Karika by Ramzes II) played Brego, Aragorn’s steed in all three Lord of the Rings movies. Uraeus is a former FEI competitor. Several Dutch Warmblood horses have been ‘held prisoner’ at Angola, the Louisiana State Prison, where they are part of the extensive horse program. Each year a few Dutch Warmblood crosses are sold at the Angola Prison Horse Sale. The Dutch Warmblood is a proven competitor in dressage, jumping, hunter and driving competitions. For the eighth consecutive year, the KWPN was ranked the number one studbook for jumping and for the third consecutive year the number one studbook for dressage. KWPN horses are also gaining ground in eventing, finishing in fifth place this year after being in eleventh last year. Jerich Parzival (s. Jazz) led the FEI individual dressage rankings while BMC van Grunsven Simen (s. Mr. Blue) led the FEI individual jumping rankings. Many of the fine Harness horses are owned by members from Amish communities in several states and are used in breeding programs to produce carriage horses for Amish families who want an attractive, high-stepping horse for Sunday and special functions–– the original purpose of the Dutch Warmblood Harness Horse. Equitrekking: What are the origins of the Dutch Warmblood (KWPN-NA)? Silvia Monas: The Dutch Warmblood the way we know it now is developed through cross breeding and originates from the Gelderlander type and the Groninger type. The Groninger type horses were used more substantially and were known for their power because of the heavy clay they had to work in. The Gelderlander type was a little lighter horse because of the lighter soil. Through the years these two types of horses joined and became WPN. After the WPN got the Royal recognition the K (from Koninklijk) was put In front of the WPN. That is why it’s called KWPN. We have the KWPN NA in North America, which stands for Royal Dutch Sport Horse in North America. At this point the KWPN has four breeding directions: jumping, dressage, fine harness and the gelders or basic type. Here in North America we also have the hunter direction. Through selection and specialized breeding the Dutch Warmblood has become what it is known for today. 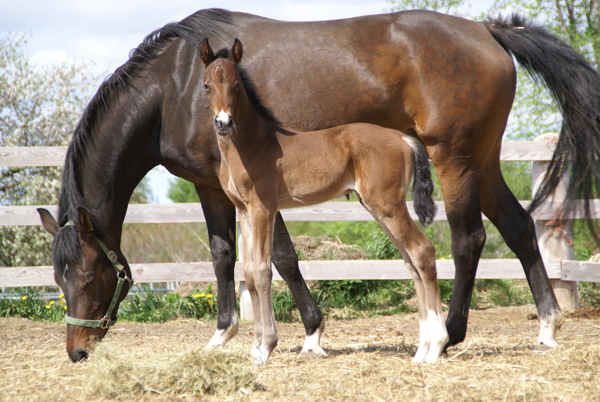 Registered Warmblood breeding in the Netherlands is well over a century old. King Willem II recognized the first Dutch studbook organization in 1887 and so laid the basis for regulated Warmblood breeding. During the nineteenth century, several regional and local studbook organizations bred heavier horses specifically for working the clay soil of the North (Groningen). On the sandy soil of the middle Netherlands (Gelderland), a more noble and spirited horse was popular; a horse with faster action and good stamina. Both types were regularly crossed and in 1969 these two organizations were combined into the national studbook organization WPN (Warmbloed Paarden-stamboek Nederland), which received the royal designation (Koninklijk) from Queen Beatrix in 1988. Equitrekking: What are the general conformation characteristics of the Dutch Warmblood? Silvia Monas: The Dutch Warmblood is known for its athletic ability and soundness, its eagerness to work and the ability to compete at the highest levels of sport. All this is combined with a very good trainability, character and temperament–– an attractive horse with a rectangular, long-lined and well-proportioned body. 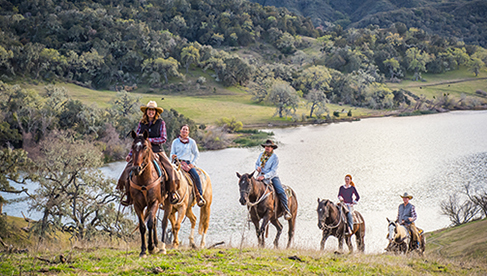 Generally, the horse is built uphill and has correct and clean legs with even feet. The neck is long and arched with a slight upward orientation and a muscled top-line. It has a strong and well-muscled back and hindquarter. The horse has presence. Equitrekking: How has the Dutch Warmblood been used throughout history? Silvia Monas: The purpose of the horse changed from the original purpose because of the use of machinery in the fields and at farms. Because of this, there came a need for different type of horse. Of course, this took a few years. First you had combination of work and riding, then the combination of doing both jumping and dressage and now we see specialized breeding in dressage or jumping or fine driving horses. The Dutch now have specialized breeding directions to serve the riders needs for competition. 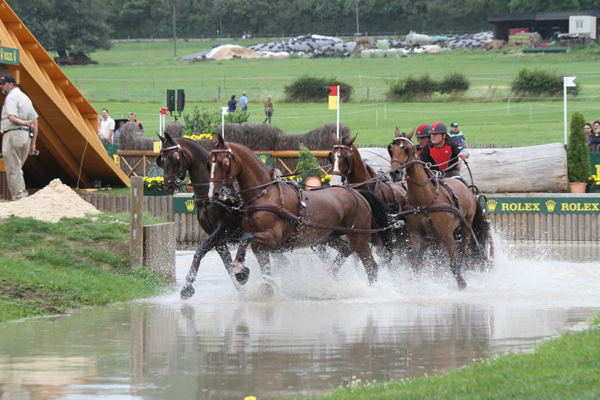 There are also the eventing and the 4-in-hand horses that are yet more versatile horses. Equitrekking: For what type of temperament is the Dutch Warmblood known? Silvia Monas: The Dutch Warmblood is known and selected for character, ride-ability, light-footedness, enthusiasm and willingness to work and the ability to perform at the highest levels of sport. Equitrekking: What style of rider best suits the Dutch Warmblood? Silvia Monas: The Dutch Warmblood breeders produce horses for many different styles of riding and purposes, so the Dutch Warmblood in general can accommodate pleasure riders and amateur riders all the way to Olympic level riders and everything in between. The horse is known for its willingness and desire to work. Breeders try to produce a horse that is sensitive and submissive. Equitrekking: How has the Dutch Warmblood evolved over time? Silvia Monas: The Dutch Warmblood has changed through time. The change being that the purpose and use of the breed is a never ending process. For decades KWPN horses have been split into three distinct breeding directions: the Riding type (RP), the Gelders type (GP) and the Harness type (TP). In the breeding program of riding horses, the KWPN decided split this breeding direction further; into the Dressage (DP) and Jumper types (SP). In North America, there is also a third type: the Hunter type (HP). Equitrekking: Who are some historical Dutch Warmbloods? 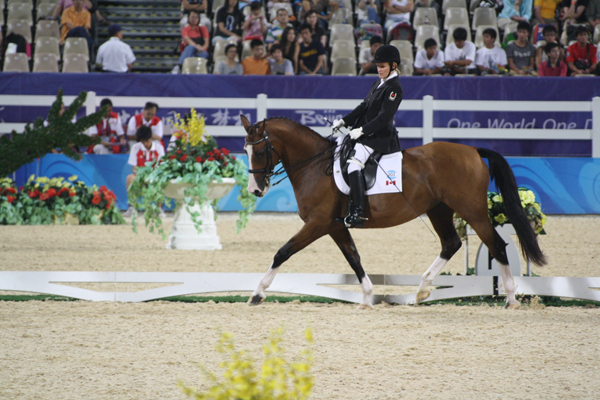 Silvia Monas: Ferro (by Ulft), also called “the Black Pearl,” was an international dressage stallion that competed at the 2000 Olympics, winning a team Silver medal, and at two World Cups. He was champion of his performance test. He is one of the foremost dressage progenitors having sired eight KWPN approved sons (besides approved sons in other countries) and eleven KWPN approved grandsons. A large number of Ferro offspring have and are competed at both National and International levels dressage. Three Ferro offspring competed at the Beijing Olympics. Nimmerdor (by Farn) was a stallion whose enormous influence on jumper breeding was not only felt in Holland, but also in countries across the world. He was a very successful international jumper and sired more than fifty approved stallions across the world, including 18 that are approved with the KWPN. He is found in many jumper and dressage pedigrees today. At the end of 1999, Nimmerdor was named the “KWPN Stallion of the Century.” He lived to be 30 years old. The KWPN is an ‘open’ studbook, meaning that often ‘outside’ stallions are used for breeding to improve upon the KWPN horse. Several of these stallions had most of their breeding career within the KWPN and have had a great influence on the KWPN: Farn (Holst) with 8 KWPN approved sons and 33 approved grandsons, G.Ramiro Z (Holst) with 17 KWPN approved sons and 27 approved grandsons, Roemer, Voltaire (Hann) with 17 KWPN approved sons and 18 approved grandsons. Two of these ‘outside’ stallions made an impact in North America as well as in Holland. These are Roemer and Contango. Roemer (Westf by G Pilatus) sired four KWPN approved sons and five grandsons in Holland. Roemer was one of the first KWPN stallions to be imported to the U.S. and was inducted into the USDF Hall of Fame. The other stallion is Contango (Old by Contender) who has three approved sons and two grandsons, including Ravel who has been at the top of the dressage rankings in the U.S. Both these stallions had a great impact on North American dressage sport as well as breeding. Cocktail has six approved sons and nine grandsons. The most important Cocktail son is Jazz (who has led the FEI dressage sires rankings for several years) and has 8 approved sons and eleven approved grandsons (including UB-40 in the U.S.). Ferro with son Rousseau and grandson Ampere, or son Metall with grandson Special D and great grandson Andretti. Flemmingh along with son Krack C and grandson Vivaldi, as well as son Lingh. More recently there are outstanding horses competing in dressage: Ravel (s. Contango) with Steffen Peters and Totilas (s. Gribaldi) with Edward Gal. In jumping: Judgement ISF (s. Consul by Nimmerdor by Farn) with Beezie Madden and Hickstead (s. Hamlet by Nimmerdor by Farn) with Eric Lamaze. Renovo, by Cambridge Cole, is probably the most famous Fine Harness stallion. He left a legacy, not only in breeding but also in competition. For a record eight times he was the champion breeding stallion in harness of Holland. He lived to be 25 years of age and sired 17 approved sons. Equitrekking: What makes the Dutch Warmblood unique as a breed? Silvia Monas: The Dutch Warmblood is unique because of the KWPN strict selection program for mares and stallions. 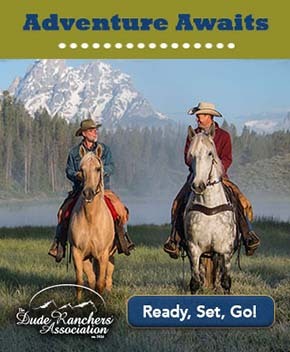 There is much data available for breeders to use in selecting the right stallion or mare. 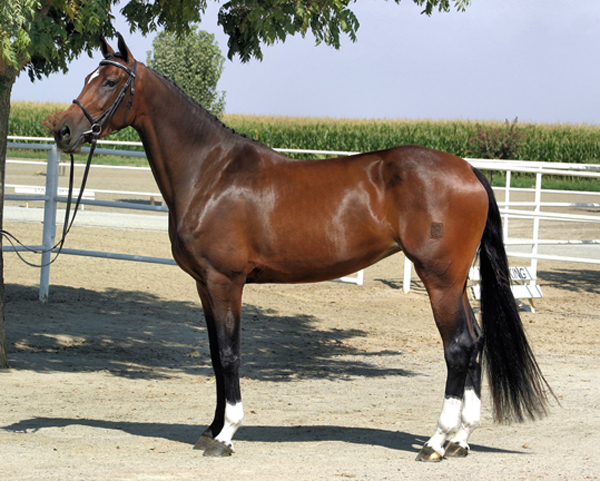 The Dutch Warmblood is also unique because it is the only studbook with specifically different types of horses within the studbook, including the Fine Harness horse. It's ability to perform at the highest level and it's willingness to work also make it special. Visit the KWPN-NA website and Facebook page.